Value Investing » Questions » How to Buy Pre-IPO Shares before a Company goes Public? How to Buy Pre-IPO Shares before a Company goes Public? Many fast-growing private companies have been resorting to IPO (Initial Public Offering) for raising capital to accelerate their growth. An IPO is basically the first sale of shares to the public. As a result, this company becomes publicly traded. There are certain benefits that come with going public. It allows a company to quickly raise capital by attracting a vast number of investors. It also allows the company to get into the public eye, gain status, attract more attention, and potentially, also new talent. Those who choose to invest in IPOs can benefit as well. They can raise profits by selling their shares at a higher price or gain passive income from dividends over time. Yet, what can be even more beneficial is investing in pre-IPO shares. How to buy stock online? An IPO refers to the time when a company goes public for the first time and sells shares from its stock in an open market. It is the initial sale of stock that a company issues to the public. Pre-IPO, however, shares are basically those shares of a company that are held by its employees and other investors before they are offered to the public in an IPO. They are important, as only a few companies are able to thrive in the presence of public-eye. A major section of pre-IPO shares is pre-IPO placement which occurs when a portion of an IPO is given to private investors just in time before the IPO is made public and is about to hit the market. Normally, the private investors engaged with a Pre-IPO placement have large hedge funds or private equity which allows them to invest in a large stake in a company. Given the substantial investment done by these private investors, the price paid for Pre-IPO shares is often lesser than the prospective price of the IPO. A pre-IPO-placement typically occurs when the demand for a pending IPO is very high. This often happens as a result of the IPO placements price per share whose risk basically depends on the company going public with its shares. A pre-IPO placement mainly makes up for that risk by offering a per share price that is lower than what is expected for the IPO to offer. The risk generally arises as a result low post-IPO demand which decreases the share price. Why Buying Pre-IPO Shares Is Beneficial? While there are several risks attached to pre-IPO shares because of too many factors that can possibly prevent a company from going IPO, there are also numerous benefits that make them valuable. When pre-IPO shares do end up being lucrative, they can lead to staggering returns. For instance, in a recent market float, a few pre-IPO investors bought shares at $0.10 per share which was exactly 4 months before the Initial Public Offering. The company then floated to $0.20 within a span of 6 months that led to a significant increase in the share price to $0.60. This basically amounts to six times the initial money that was invested within a period of 6 months. Investors can also benefit from a unique and valuable opportunity that comes with buying pre-IPO shares in the form of crowdfunding, and PIPE investing, primarily for those private companies that are looking to go public. How to Invest in Pre-IPO Shares? Investing in pre-IPO shares isn’t always easy. In most cases, the ability to purchase them will largely depend on whom you know. However, it’s not impossible. 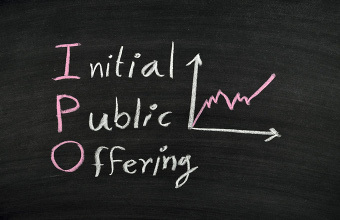 There are several ways and methods one can invest in pre-IPO shares with a company that intends to go public. One of the most common ways is to speak to your stock broker or find an advisory firm that specializes in pre-IPO shares and capital raisings. They can give you directions as to how to invest in these shares with a company before it goes public. You can also monitor news and alerts about startups or companies that intend to go public. You can also inquire about companies that are looking for investment by contacting local bankers and accountants. Building business connections can be advantageous too. For instance, you can seek these connections in events such as venture forums and business incubators. Establishing relationships in the angel investor communities can prove to be beneficial as well. Considering the fact that pre-IPO investments have a limited access for most investors and even for those who can easily access it, there is a high liquidity risk attached to it. However, there is a way to still invest in pre-IPO shares which ensures access to all the investors that are interested in private equity. This method is called Stock Tokenization which basically refers to the conversion of traditional company shares into cryptocurrencies that also allow for liquidity in the IPO markets. What Risks Are Involved When Investing in Pre-IPO Shares? Investing in itself is risky. It requires knowledge in business and investment, ability to analyze, and foresight to predict the development of the company. Investing into a company that has been public for some time can be easier as you can access stock charts and see the trajectory of its growth. With pre-IPO shares, however, more risks are involved. It is much harder to evaluate the future of the company. This happens due to the risk of information asymmetry. Directors and managers who are selling their shares know more about the company and its business situation than people buying into it. They are also not required to disclose any information to the public while the company is private. This limits the amount of information available on it. Even though companies that are going through the IPO process have to meet disclosure requirements and prepare a PPM (Private Placement Memorandum), the information provided often is not enough to give investors an accurate picture of the business’ performance. In addition to that, the underwriters who intermediate the share sale have the incentive of maximizing the price they are able to secure in the secondary market. Can You Sell Pre-IPO Shares Right Away? For the majority of the pre-IPO companies, the only way to sell shares is through a secondary market that facilitates the transaction of private investments. However, regulators have gradually tightened the rules that govern the buying and selling of pre-IPO shares. Many companies have also been found to delay their IPOs during a wave of eager private capital which has created increased demand between both buyers and sellers. Regardless of what route you choose to take, make sure you do not make any rash decisions. Investing in pre-IPO shares can be beneficial and lucrative, but also rather risky. Not each company succeeds, and you run a run a risk of losing your money if you do not invest wisely. To avoid this, make sure you familiarize yourself with the topics of finance, investment, and business analysis. It will allow you to more accurately assess the potential of companies and become a successful investor. And last, but not least, never invest without legal protection. Choose only companies that utilize a PPM. That will ensure that they are transparent and comply with ant-fraud laws. Alternatively, you can have a lawyer or attorney prepare and investment contract and a term sheet for you. Michael Norton is a content creator and marketing strategist for Funds INC, a company that specializes in commercial finance. On the other hand, if you would like to stay with the time tested and proven value investing process, and would like to know what the best stocks to buy now are, check out the Premium membership.